This Chinese official is likely to be the first president of the Asian Infrastructure Investment Bank (AIIB). China has nominated Jin Liqun, the secretary-general of the multilateral interim secretariat of the Asian Infrastructure Investment Bank (AIIB), for the presidency of the AIIB. “The Chinese government has officially nominated Jin Liqun to be China’s candidate for the presidency of the AIIB,” the Chinese finance ministry noted in a statement. Jin will be considered for the presidency under the selection process agreed to in a framework when the bank’s founding members met in Beijing last week. Jin, vice minister of finance in China and a well-known bureaucrat with experience managing China’s sovereign wealth fund, will almost certainly be appointed as the first president. China’s voting shares within the AIIB will grant it an effective veto over any competing candidates. The president of the AIIB, per the organization’s charter, will require a 75 percent majority. The framework agreement for the operations on the AIIB were signed by 50 of 57 member states last week. As The Diplomat‘s Shannon Tiezzi noted, the framework agreement clarified how capital allocations and voting rights within the AIIB will be determined. The AIIB is largely dominated by China, which will hold a 30.34 percent stake in the AIIB and was the country to initiate the bank’s formation. The AIIB is widely seen as China’s response to reform inertia at Western-led international institutions such as the International Monetary Fund (IMF) and the World Bank. Having a Chinese citizen lead the AIIB would mirror the World Bank and Asian Development Bank’s practice of always being led by an American and Japanese citizen respectively. 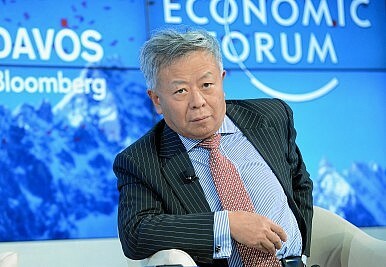 Prior to his involvement with the AIIB, Jin had served as vice president in the Asian Development Bank and was the Chinese finance ministry’s top official for the World Bank. Nominations for the presidency will close in July. According to Agence France-Presse, the president of the AIIB will be chosen at the inaugural meeting of the bank’s board of governors later this year. China-led AIIB Sees Membership Expansion: What's Next? 13 new countries were approved as members of the Asian Infrastructure Investment Bank earlier this month.